Any aspirant who wants to pursue his or her dream education anywhere abroad surely thinks about going to the USA (United States of America) at least once. This is because international students believe that an American education degree would attract best career options for them later in life. 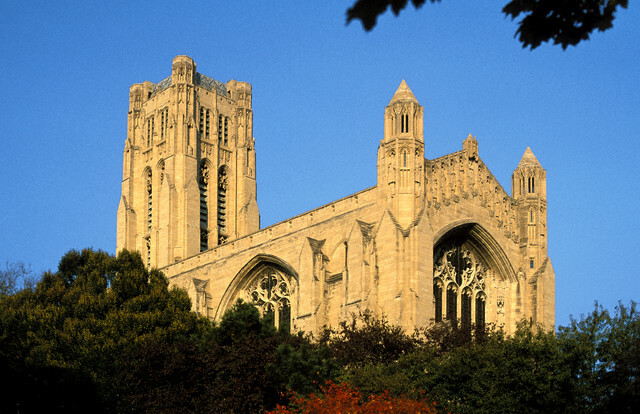 Most of the US schools, universities and colleges are constantly ranked in the top most positions in international rankings. The United States of America have more institutions of higher learning than any other country in the world. Importantly, the quality of most of the educational bodies in the USA is world-class. Many of the American schools and universities in usa offer top-rate education programs with highly qualified teaching staff. The research works at many of these Universities and colleges in usa are technically sound and often published in journals worldwide. The students who study in usa are exposed to an environment where they can update their knowledge about recent technological developments. Moreover, they get frequent opportunities to meet and even study with the leading scholars in their chosen field. The student-teacher relationship in the USA makes learning an enriching experience by encouraging individual students to have healthy interaction with the faculty. Students studying in the USA will have many opportunities to join planned and informal activities to spend their leisure and study hours with other students. This will enhance their English language skills. They can learn more about US culture from their fellow students along with all the other diverse cultures that are represented in US campus by other foreign students. Ultimately, earning an educational degree from the USA may become the best possible opportunity for an overseas student. Any international student who wants study in usa and wants to enter US student should get legal permission from the country, by applying to a nearby US embassy or consulate. There are mainly two types of student visas that exist for studying in the USA. 'F1 Visa' is the 'Student Visa' meant for students who enroll in any academic or language program. The students who get this F1 visa are allowed to be there in the country for the entire duration of the course and sixty more days. 'J1 Visa' is the second kind of student visa for pursuing studies in the USA, generally called as 'Exchange Visitor Visa'. This is issued for students needing practical training that is not available in their native country to complete their academic program. In the latter case, the training must be directly related to the academic program. The J1 visa obligates international students to return to their native land for a minimum of two years after the completion of their studies in the US before being eligible to apply for an immigrant or permanent visa. The essential and most important documents generally required for getting the US student visa are a valid passport given by the country you belong, your recent passport sized photographs and a non-immigrant visa application available from the Consular section. Evidence of financial ability to cover the costs of the education and maintenance involved is needed and visa fee is to be paid in the currency form of your native country by a Bank Draft. You will be asked to provide details like income details of your parents, your average annual living expenses, details of your and your parents' property assets and sources of funding for your education other than from the university or the school. However, the students are advised to seek the help from the respective embassy offices or consulates for the exact details. To afford an education in United States of America (USA) is generally expensive. Renting a flat or making any other stay arrangement, day-to-day expenses and tuition fees of the entire course, together constitutes an expensive affair. Careful financial planning is a must-to-do part of your entire study abroad plan. It is a must to prove that you have adequate funds to lead the student life in the US to be allowed immigration by the US embassy. The embassy will ask about the living expense coverage, health insurance and university's tuition fee affordability to study in usa and related expense issues too. The tuition fee structure varies from school to school. Generally, the private institutes are costlier and the state or public universities charge nominal fee, but this is not mandatory. To get the prior knowledge about the fee structure, see the catalogue or the brochures of the concerned school or university or colleges in usa and complete your financial plan. Two years of community colleges are also not much expensive in general. The living cost, like any other country, varies from place to place in the US. Living in and around urban areas in any part of the US is more expensive than living in smaller towns or rural areas. This is applicable for the fee structures of education as well. Budgeting for studies in usa and study abroad experience in the US needs pre-planning along with continuous changing according to the needs till your course gets completed. Major expenses for a foreign student in the US countries can be your renting, insurance coverage and the fee payments to the school. Everything else comes next. Financial aids are available to all competent students and students are advised to seek for such aids by researching different resources. Any student, who wants to learn more and place special focus on his major subject after completing his master's degree program, can look for the higher degree, PhD, a Doctorate in Philosophy degree in USA. Before applying for PhD program, students in US have to complete a master's degree program. However, this is not compulsory in all cases, as many competent students get the opportunity to get PhD admission after bachelor's degree with exceptional coursework records. The University or the Heads of the University departments can decide the PhD admission in these special cases. The duration of US doctoral degree varies from minimum period of three years to a maximum of six years. The duration of PhD degree course depends on field the students choose, ability of the students and complexity of the research work. Doctorate degree in the US universities is awarded after submitting a research thesis as result of a significant hard work of the scholar on the respective subject. Pursuing an advanced degree, PhD degree in the USA, enhances the career opportunities of students. A PhD degree holder in the US is recognized as a subject expert and hence, it is a prestigious degree. Those who are interested in teaching in the US universities and higher-level schools and high-status institutes, acquire Doctoral degree. After acquiring the doctoral degree, the respective university will confer on the scholar an honorary doctorate degree and the scholar can have the title of 'Doctor'. Eminent scholars and great academicians around the world recommend students to pursue their master's degree, irrespective of their field of study, as it can help them gain ample knowledge of their subject. A master's degree can also help the students to comprehend their career life as better professionals. An advanced degree such as a US master's degree or US doctorate or a PhD degree, can make you move ahead with 'expert qualities' in your academic career. Master's program in the US universities and schools are typically of one-year duration or more depending on the subject or course and offer degrees namely MBA, MS or PhD. Admission to a graduate program or a master's program usually requires a minimum of 16 years of formal education from the land of the US. That is, 12 years combining primary and secondary schooling and further 4 years of college education. The US master's degree is a graduate school degree that generally requires two full years of graduate school coursework to complete. Unlike students pursuing a bachelor's degree, students in a master's degree program will complete courses that are highly focused in their field of study. As such, students must have already decided on their major before applying to a master's degree program. If you are heading for studies and career in the US, a master's degree may be necessary. For example, if you are seeking for a position as an economist to work in any government body or if you are interested to teach at any American university or if you want to become a medical practitioner you should study medicine in usa and hence, you need to be a master degree holder in the respective discipline. Internship program means the art of preparing students for service activities by providing them an actual service environment where they can get hands-on experience and improve their learning or understanding of issues relevant to their chosen area of study. To enroll in an internship program in the US, a student must generally have an undergraduate or graduate degree. Those who have proofs that they have been accepted into a degree-granting post-graduate program within six months are also eligible. Non-US students are eligible to apply for paid internship with specific visa namely J-1 exchange visitor, J-1 trainee or F-1 student. Non-US students may also apply for unpaid internships. The main benefit of doing internship programs is gaining professional experience and better prospects for career positions. Credit to the degree of students is provided when students apply for tuition-based study abroad internships sponsored by universities. In US, financial aided internships are open to the students from foreign countries also. Different internship programs in USA charge different tuition costs according to the requirements. Unpaid, non-academic internships account for common internships, both in the U.S. and abroad. In general, the undergraduate universities and colleges in usa give the conventional degree known as bachelor's degree. The duration of these traditional bachelor degree programs normally is of four years and not more than five years of full-time college-level coursework. The two general types of graduate study in usa or bachelor's programs awarded in US universities and colleges are B.S, the Bachelor of Science degree and B.A, the Bachelor of Arts degree. To earn a respectable job career, it is better to have an accredited bachelor degree in the US. Bachelor's degree is the first step to achieve success in life in American. The bachelor's programs in the US are generally designed in such a way that the students will be required to choose their optional major, usually by the end of the first two years. Students are required to complete necessary number of courses or units within their major in order to graduate with a bachelor degree in that particular major. They may also be required to complete a number of courses in closely related fields in order to satisfy bachelor degree necessities. For instance, a student whose major is mathematics, will not only have to complete mathematics courses, but also chemistry, biology, and physics courses in order to graduate with a bachelor of science degree in mathematics. In addition to the requirements for the major, students must also complete a series of courses outside of their major to study graduation in usa. These requirements will apply to all students attending the college, irrespective of their major. For example, all students may be required to complete courses in writing, foreign language, communications and American history. Students who prefer to choose the United States of America as their study destination are advised to be aware about the details of bachelor's programs and the different educational setups offering bachelor's degrees. Students are advised to find the list of American universities, colleges, institutes through internet searches. Apart from the above said qualities, students must be competent enough to fulfill the individual schools' eligibility criteria because most of the US schools follow separate admission guidelines that foreign students have to follow. For the overseas students, a good score in the entrance exam can secure admission in the top schools and universities in usa. Since the admission for international students is highly competitive and unpredictable in the USA, it is always better to apply for more than one college. Many of the American schools will ask the students for recommendation letters from their past educational organizations for admission. 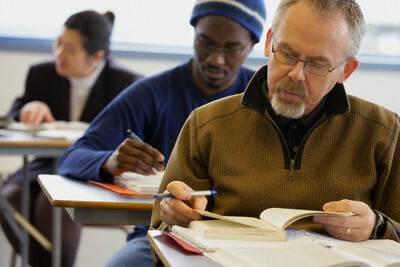 Some schools and colleges in usa admit students on the basis of application essays. So, while applying to the schools, ensure that you write the application essays with best of your writing skills. American education system is bit confusing and extremely dissimilar from the education system of your native country. The educational options available in this country are fabulous especially in the higher level. Basically, the USA education system comprises of 12 complete years of primary and secondary education before getting admission in the university or graduate college. It is not necessary that these 12 years of basic education must be completed from within USA and hence, students from other countries are also welcome for higher education. The highlight of USA education system is its adaptability of cutting-edge technology in all the fields of study. In addition to this truth, another impressive element about US education system is that many world leaders, bureaucrats and prominent business tycoons cherish the education system of the country after studying from there. Needless to say, acquiring an educational experience from the land of USA will drive people to a magnificent and brilliant career life. The education of US starts at the age of five in the 'primary school'. After completing five grades, the student will enter 'secondary school' to get the 'high school diploma' after successful completion of twelve grades. Those who complete high school and would like to attend college or university must attend 'undergraduate' school. These are schools that offer either a two-year degree or a four-year degree in a specific course of study. The course of study is called the 'major', which comprises of the main or special subjects. The next level of education system in the US is 'graduate school'. After getting the undergraduate degree, the education can be continued for next two levels. The first one is, studying to get 'master's degree' as an extended specialized study of the subject taken up in the under graduation course. It is of two years duration. The next level is to pursue PhD that leads to a doctorate degree. The minimum duration for this is about three years and may vary up to even seven to eight years depending upon the specialized and chosen topic and the ability of students in presenting their thesis. Study abroad students who aspire to go to any part of USA for further studies are advised to have clear idea about the education system and study abroad program of the country. Medical study in USA. : Unlike medical education in Norway, the medical study in usa generally begins AFTER completion of four years of undergraduate study which includes meeting the pre-medical school course requirements along with obtaining a bachelor's (B.A.) degree in any subject. Studies in usa in various medical school itself usually lasts four years and is followed by 3-7 years of graduate medical education (internship/residency). 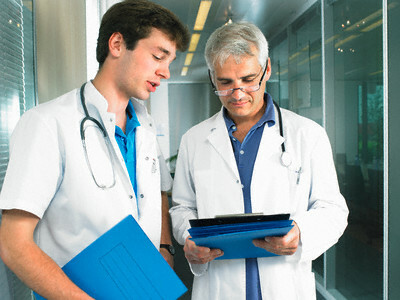 A few medical schools provide limited programs beginning after high school that combine undergraduate college study with medical education/ medical study in usa. Students are admitted provisionally to these programs based upon their high school credentials and, if their performance is satisfactory, are permitted to progress to the M.D. degree. This program generally takes six or even years and admission to it is extremely competitive for foreign students. There are very few opportunities for foreign students to obtain the Doctor of Medicine degree by medical studies in usa. American medical schools receive twice as many applications from qualified U.S. citizens as can be accommodated and many of the publicly-supported medical schools are required by law to admit only state residents. Medical study in usa requires all applicants to medical schools to take the Medical College Admission Test. The MCAT examines understanding of the basic concepts in Biology, Chemistry and Physics as well as verbal reasoning skills and it includes two writing samples. The test for medical studies in usa should be taken 18 months prior to the intended date of enrollment. The deadlines for registration at overseas centers are two months in advance. Application materials for the MCAT are available directly from http://www.aamc.org/students/mcat/start.htm.